Fear is one of those amazing things, which makes some of us try harder and keeps others up at night…its all about perspective really. I recently met a new friend named Bob, who showed me what one week of pushing yourself can really do to your perspective on fear. 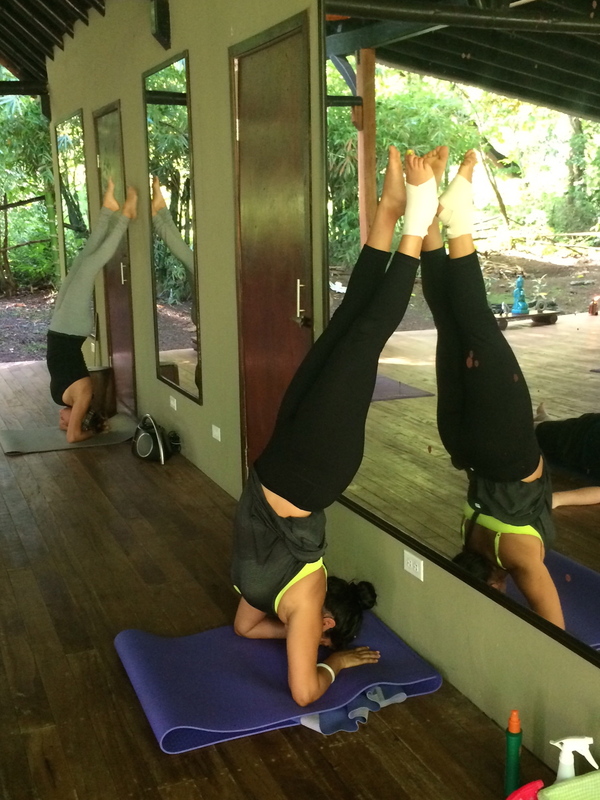 Bob was on my recent yoga retreat in Costa Rica, and while I was pushing myself on the mat, trying a few things I had never done, and feeling pretty proud, Bob was doing so much we started to keep count. Listening to Bob’s nonchalant expression on doing so much made me think about how fear can govern our lives, and make our choices seem shameful, or let our thoughts take over. Here’s what Bob did in one week which could be inspiring or daring, depending on your view about things. This list may not seem completely mind-blowing, but it does bright to light the topic of fears and how we choose to let them rule our lives. Fear of trying something new, fear of changing paths, fear of getting lost, fear of the dark, and fear of being alone can guide our lives in ways we just can’t comprehend with our conscious minds. But it begs the thought, can fears open up new doors to our unconscious minds and help us learn more about our inner selves? This past month I have seen my blogging/creative life suffer as my travel/work life has taken hold. And so it got me thinking about what makes that happen sometimes. The feeling that you have to do something can be overwhelming. While you can sit back and feel guilty, which I can relate to, you can also just breathe in, take time for yourself, and live in the moment. Whether that’s meeting a friend or family member, taking a much needed nap, or working towards a deadline. Do what you need to be a better you, and live for each day. And, live with the choices you make, as they are yours. It’s the best advice I can give myself and anyone else. I remember taking a class on the “7 habits of highly successful people“, and learning that shifting to “I have chosen to”, rather than “I have to” is a very powerful thing. Try it tomorrow, or everyday that you feel like life is taking a hold on you.